Each and every one of these books is worth reading and keeping and rereading! 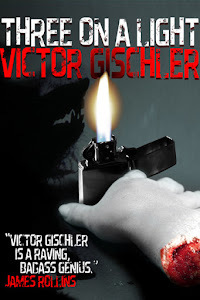 Victor Gischler is a readable writer. He's witty and fun, but he's also good at social and psychological commentary without pushing it in the reader's face. In other words, he's class! But there is a comment! I already said I love his works! I don't have a problem with you advertising for your own work. Even though I already own all of your books, it's an easy way for me to recommend it to friends that don't live close enough to see all the time. Plus, I get to say that I know this Gischler guy! When will Emerson LaSalle be let back out? His ghost still haunts us, Tim. 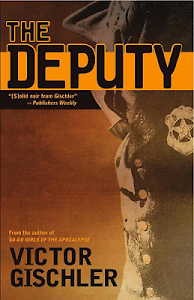 Just ran into your work via "Gestapo Mars". Is it a series? Will there be anymore books based on the Fire beneath the skin characters? So I think it's about time for a Disney update. Maybe?